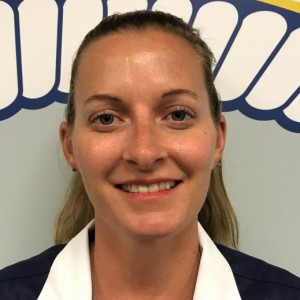 California State University Maritime Academy has named Emily Scheese as the first ever head coach of its Womens Soccer Program. 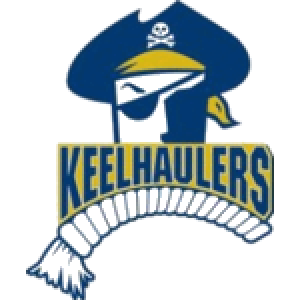 Scheese comes to the Keelhaulers from UC Santa Cruz where she was the Division III Association of Independents Coach of the Year in 2013, 2014 and 2016. Her 2016-17 team went 6-11-1 last season and qualified for the NCAA D-III playoffs due to its strength of schedule. She spent two seasons as an assistant with the Banana Slugs before becoming the head coach from 2012 to 2017. Under her watch the Banana Slugs won the Great South Athletic Conference in 2015 and advanced to the NCAA Division III National Championship Tournament six times. She also won the National Soccer Coaches Association of Americas Team Scholar Award with a cumulative GPA of 3.35the highest in the UC system from 2012 to 2016. Scheese is aware of the challenges of starting a program from scratch and embraces the opportunity. Scheeses UC Santa Cruz teams featured the Association of D-III Independents Defensive Player of the Year in 2013, 2014 and 2016, and the GSAC Tournament MVP and four All-Tournament Team selections in 2015. Her UCSC teams also featured two NSCAA D-III All-West Region Team selections, 10 NSCAA D-III Scholar All-West Region Team selections, and six Great South Athletic Conference All-Scholar Team selections. Scheese is also a coach with Global Premier Soccers Almaden FC. She served as Co-Director for Nike Soccers US Sports Camps from 2012-2017. Scheese was also instrumental in community outreach in working with the Aptos Soccer Club in south Santa Cruz County. Born in Torrance, California, Scheese grew up in South Bay Los Angeles, and attended Bishop Montgomery High School. She was on the CIF-winning girls soccer team in 1994 and named Most Valuable Defensive Player and First Team Del Rey League in her senior year in 1996. Scheese attended UC San Diego and received her BA in Literature and minor in Critical Gender Studies. In her final year at UCSD, Scheese won the departmental award for the best senior honors thesis in 2000. While at UC San Diego, Scheese was a member of the women's soccer team that garnered three NCAA Division III national titles and held an unprecedented record of 72-7-3. Scheese earned a Ph.D. in literature from UC Santa Cruz in 2012. She taught several courses in Postcolonial Literatures, Women's Caribbean Literature, and Rhetoric and Composition for the Writing Department while at UC Santa Cruz.